Ripple white bar stool is durable enough for a heavy use at home or commercial place like a restaurant. White upholstered cushioned seat with stitching is very comfortable. Chrome finished adjustable height tube completed by round base and a footrest. 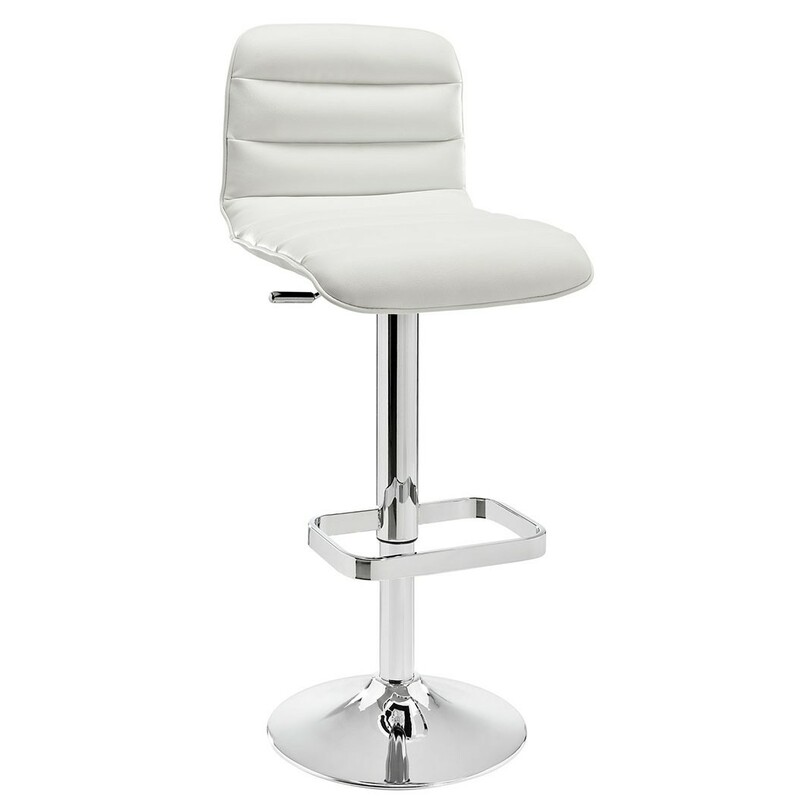 This bar stool comes in four colors white, red, brown and black.